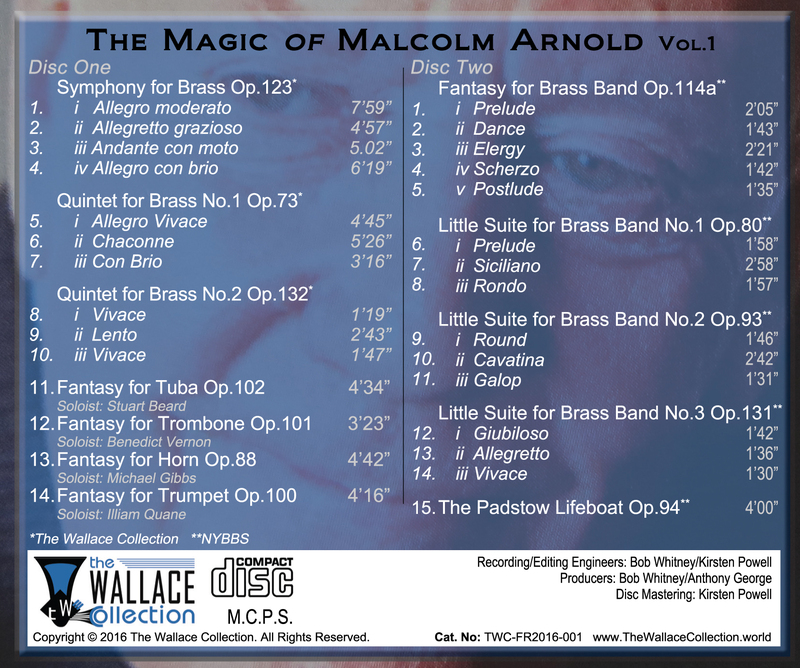 A double CD set which brings together a first volume of Malcolm Arnold’s exquisite music for brass. 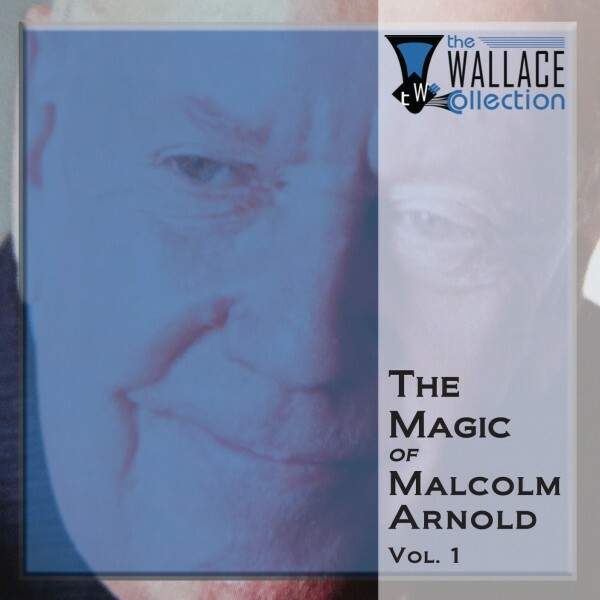 Performances from The Wallace Collection, the soloist winners of the 2016 Malcolm Arnold Fantasy Competition (presented by The Wallace Collection) and The National Youth Brass Band of Scotland (senior band). This double-disc release includes a 16 page information booklet and offers a wonderfully diverse collection of works from this great composer, performed by some of the finest brass musicians of today and tomorrow. Extract from the CD booklet. 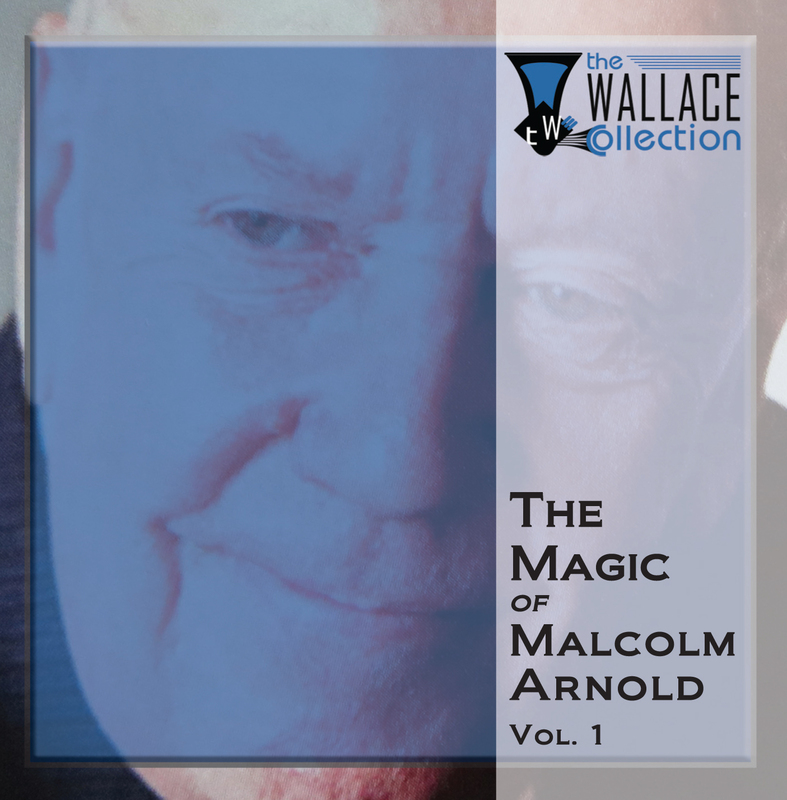 “Malcolm Arnold’s gift for spontaneous melody pervades these discs, the first instalment of a collection, bringing together all of his works for brass, in original and transcription. This group of works inhabit a period from mid- to late-career for Arnold, when despite his well-documented troubles, he was at the height of his powers. When he did sit down to work, his famed facility allowed a profusion of ideas to flow freely from his pen. His music became more and more succinct. He had a special and effortless affinity for brass. Perhaps it is this familiarity which allows his deeply contrasted feelings of despair and exuberance to coexist within the same work, as in the coruscating performance of his Symphony heard on the first disc of this set. A thread of fantasy ran through Arnold’s output from the Grand Fantasia of 1938 to the final Fantasy for Recorder and String Quartet in 1991. 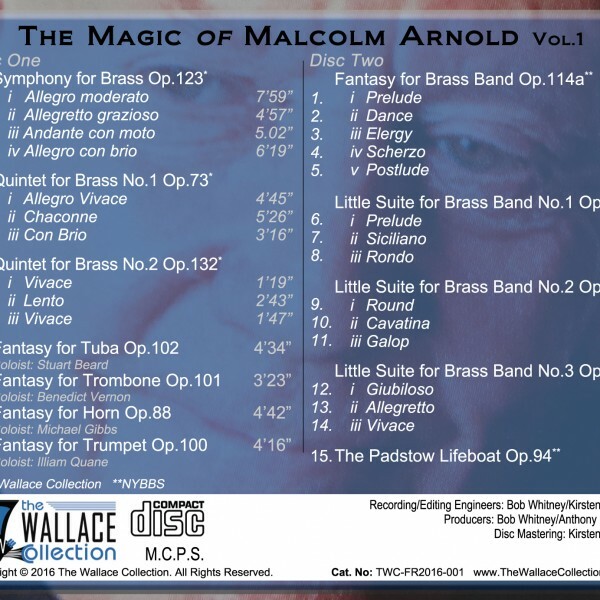 This volume of recordings is a tapestry interwoven with the fantasies for solo brass, played by the winners of the Malcolm Arnold Fantasy Competition, from the Royal Academy of Music, Royal Northern College of Music, and Royal Welsh College of Music and Drama.